For starters -- I'm not the cheap vegan chick; I'm just a cheap vegan chick. There are lots of us out there, I just happen to be the one who bought the domain name and figured I could maybe put it to good use combating the myth that being vegan or vegetarian or green or organic -- or whatever other related label you can think of -- inevitably has to be expensive. Info on Veg or Organic Businesses, Books, etc. What's a vegan blog without pictures of vegan food? I know that it sounds like this site is just for vegans, but it really isn't. Folks looking to save money while adhering to vegetarian or dairy-free diets will be able to use all of these tips, coupons, recipes and such. There is also info of interest to gluten-free folks, folks who buy organic and anyone who is simply trying to live a greener or more frugal lifestyle. And, of course, omnivores can certainly use vegan recipes and coupons, particularly if they participate in Meatless Mondays or have veg friends or family members. Speaking of vegan recipes and such -- there are lots of excellent vegan blogs out there that are brought to us by chefs, foodies, cookbook authors and just really awesome cooks. Many of these include recipes with pretty pictures and long lists of ingredients that result in life-changing vegan meals that are amazingly delicious. Because the pros and the vegan food bloggers really do have the whole amazing-vegan-recipes thing covered, I figure we will leave all that fancy vegan cooking to them. So while I do include vegan recipes on this site, the ones you will find here will be mostly simple, cheap vegan meals for those nights when you don't feel like busting out your entire set of mixing bowls and whipping up a magnificent plant-based feast. I will, however, tell you where to find the best sales and vegan coupons to get the ingredients you need for those awesome recipes. I will also tell you what you can do with that same cornstarch, vinegar, baking soda, avocado and coconut oil to help you save money on personal care and household products. The site will always be a work in progress, and I'm completely open to suggestions on other things I should include to help show that going vegan, vegetarian, plant-based or organic really can be affordable and easy. So if you have any ideas, definitely drop me a line, hit me up on Twitter, connect with me on FaceBook or comment on the blog! 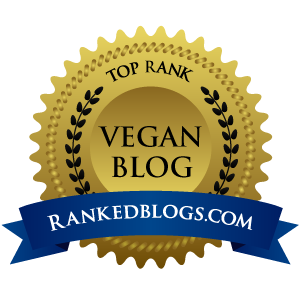 The old blog, Miss Mavyn's Vegan Blog, will stay up (at least for now), since there are lots of older posts on there that some folks still visit. So if you are looking for something specific that you don't see here, it is probably still hanging out on the old blog. Hi! I'm AJ. I have recently relocated from the beautiful Pacific Northwest back to my hometown of Ojai, California where I live with my wife (an omnivore) and our furry friends (Dexter, Clyde, Baby, Victor, Samson and Piper). I'm a freelance writer by trade (along with some real estate and property management stuff). I'm also a bit of a crafty chick, and I occasionally sell my vegan wares at craft fairs and such. I love a good deal and rarely leave the house without my vegan coupons. Of course, I like it even more when I can just avoid buying commercial products by concocting my own DIY cleaning products, whipping up homemade beauty and personal care products, or breaking out the sewing machine or knitting loom. I'm not always cheap, and definitely believe there are some things that you should never cheap out on, but I can't stand overpaying when I know that I can find a better deal or save more if I wait for something to go on sale. Plus, the more money I save on groceries, personal care products or household cleaners, the more money I have to spend on higher-quality kitchen equipment, at farmers markets or on vegan travel. I was never much of a meat eater to begin with, but I officially took the first steps on my veg journey at the age of 11 (in 1986) and gradually excluded animal products over the next several years. I spent almost two decades as a vegetarian (with a couple of stints of veganism thrown in) before going vegan sometime around 2003. I also follow a gluten-free diet, which was my body's choice -- not mine. I'm not the preachy sort and am not here to judge where you draw your personal vegan line -- if you draw one at all. I'm just here to share some deals and money-saving tips, and to learn from the folks who stop by and share their ideas. I imagine that is about all that you would want to know about me as related to this blog, but if I have forgotten anything, feel free to contact me.